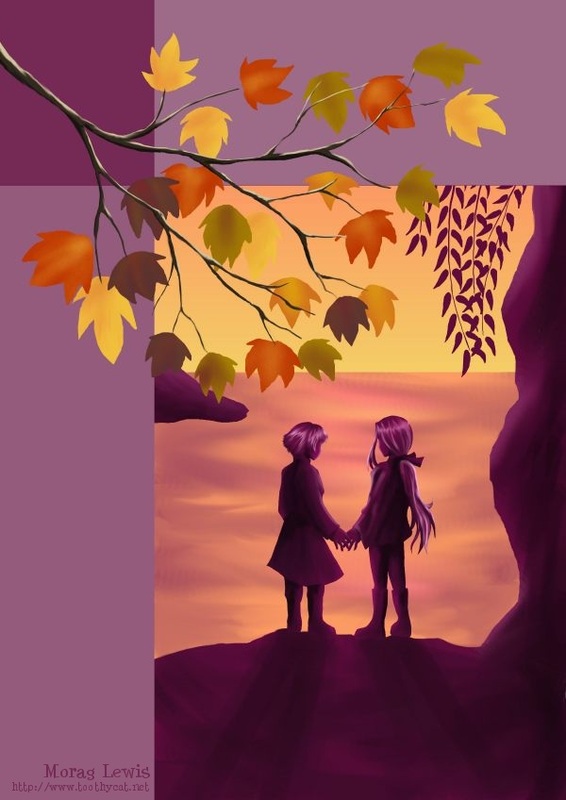 I drew the silhouetted Kite and Saryth in Kyoto in Autumn 2007, and made the full size image in one afternoon's playing with Paintshop Pro. It was very much inspired by the autumn themes around Kyoto at the time. There are a load of related desktop images here.